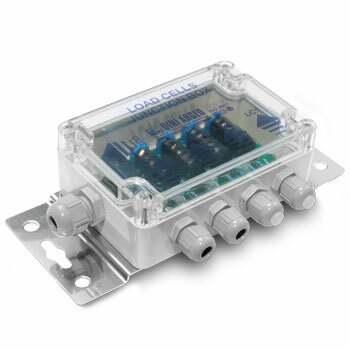 Simple junction box with IP67 protection and 4 inputs equipped with electronic board for junction of the signals of 2, 3 or 4 load cells. Screw terminal boards to facilitate the connection. The protection circuit protects against lightning and overvoltage. The reduced costs make it the ideal choice for static weighing systems such as silos, tanks and big containers. Protection degree IP68 with the use of GELBOX anti condensation gel.